Ok, aren’t celebrities just untouchable folks on a pedestal? If that sounds downright obnoxious, let’s make it a bit reasonable. Well, maybe they are regular people in very high-profile jobs and amazing lives (seemingly at least). Love it or hate it, you definitely will have to agree that if you live in India, Bollywood is more of a religion than anything else! We take a personal interest in every celeb’s life as if it’s our own. What is Shahid Kapoor’s bride’s name to what did Katrina Kaif wear at Arpita Khan’s wedding, every piece of Bollywood news is ‘sensational’. After all, who does it hurt to remain dreamy eyed with the thought of exotic celebrations? Most of us live in the ‘Lights, Camera, Bollywood’ mode and our obsession with the film industry has been there since donkey’s years. Anything from a celebrity hairstyle, their ensembles, to their movie dialogues, we need to accept the fact that we are a Bollywood-obsessed nation! Bollywood weddings have become a trend in the past few years and every newspaper, and even social media platforms have given it great importance. Bollywood stars who have been amidst the glitz and glam of the industry, definitely know how to add the much-needed ‘oomph’ factor to their weddings. 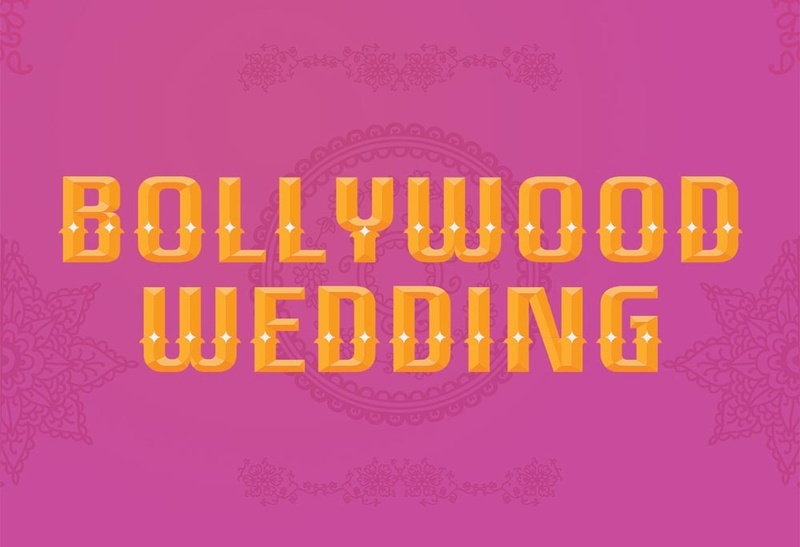 While a few have refrained from making their wedding a grand affair and preferred to have a private wedding affair, the majority of tinsel town couples have opted for a total filmy-style wedding. Here is a list of Bollywood’s big fat Indian weddings that made everyone go ‘what the heck’? The former Miss. World’s wedding to Junior Bachchan was an extravagant affair. The couple realised they were made for each other during the New York premiere of their movie ‘Guru’ and eventually tied the knot in the year 2007 at the Bachchan bungalow with A-listers from Anil Ambani, Karan Johar, etc. in attendance. The media and the fan frenzy went crazy outside the Bachchan bungalow, which did everything to just get a glimpse of the power couple. What was supposed to be a mere business relationship turned nothing short of a fairytale for both Shilpa Shetty and Raj Kundra. They had the perfect wedding with a beautiful mandap decked with flowers and bells, held at a farmhouse in Khandala. The elite guest list included B-town celebs and business tycoons. The highlight of the evening; however, was the 9-tier wedding cake! Being Salman Khan’s kid sister was reason enough to send the fans and media into a furor, when her wedding date and place was announced. The wedding was everything the word ‘grand’ stands for! From Arpita Khan’s lehenga, the venue (Falaknuma Palace) to the who’s who of the industry making their presence felt, everything was a magnificent affair. The front page and all other pages of the entertainment section of every newspaper only covered their wedding event for days to come. Arpita Khan even took to social media to post pictures and other details of the pre-wedding and other functions. Rumour mills were abuzz with the impending wedding of the most eligible bachelor of tinsel town, Shahid Kapoor! His female fan following prayed for the rumour to be just that, a rumour! But alas, the actor broke a million hearts and married Mira Rajput in a big fat wedding held at Delhi. They threw a grand reception party in Mumbai, which was attended by the Bollywood fraternity and automatically became the most talked-about event of the year. Since they first started going out, they were referred to as ‘Saifeena’, similar to Hollywood’s power couple ‘Brangelina’. When it was announced that they would be tying the knot pretty soon, there were rumours floating around regarding the type of wedding they would opt for. Would it be a traditional Hindu wedding or a nikaah ceremony? But in October 2012, the couple tied the knot in an intimate nikaah ceremony attended by the immediate family and close friends. After being in the gossip columns on and off for years now, Rani Mukherjee finally put all the rumours to rest when she tied the knot with YRF’s head honcho, Aditya Chopra, in an intimate wedding ceremony at the beautiful countryside of Italy. Far from the prying eyes of the paparazzi, the wedding was attended by just a handful of special friends of the couple. It was when Rani Mukherjee shared the news of her ‘fairytale’ wedding through a media statement the next day that the media and fans went into a tizzy. They were the fan favorites since the very beginning! The sweethearts had been dating for 12 long years before actually saying ‘I do’ in a traditional Marathi-style wedding held in February 2012 attended by the who’s who of Bollywood and the political circuit. Riteish even tweeted his wedding picture with the caption ‘Mr. and Mrs. Deshmukh’. They had a beautiful church wedding post that. The Indian spinner tied the knot with Bollywood actor Geeta Basra in a traditional Punjabi wedding held in Jalandhar. The guest list for the reception in Delhi included Bollywood celebs, politicians and other business honchos at the Taj Palace Hotel. The Bollywood brigade has had its fair share of run-ins with cupid! ‘Bade dhoom dhaam se hui shaadi’ is one of the common phrases used for every celebrity wedding. These celebrity weddings are an amalgamation of celebrations, grandeur and cultures; all wrapped into one fancy package and delivered to you by speed post!